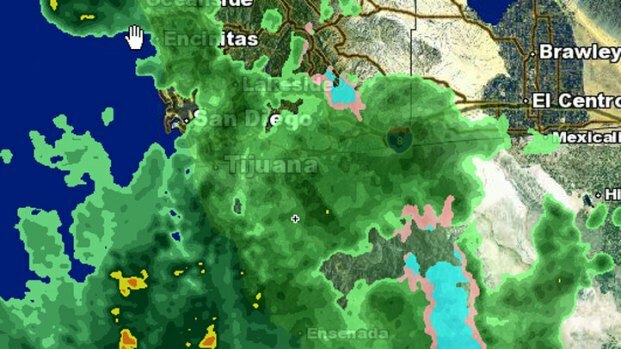 A powerful wintry storm brought more rain and snow to San Diego Tuesday along with cold temperatures and the possibility of thunderstorms. A winter storm warning has been issued for San Diego County’s mountains until 2 p.m. on Tuesday, according to the National Weather Service. Snow fell in Cyamaca overnight but there was little snow along Sunrise Highway by 6:30 a.m.
Six to 12 inches of snow are possible above the 5,000-foot level when this storm is over. Mount Laguna could see scattered snow showers with moderate to heavy snowfall Tuesday morning, tapering off through the afternoon. Julian can expect one to three inches of snow during the day Tuesday with less than half an inch Tuesday night. 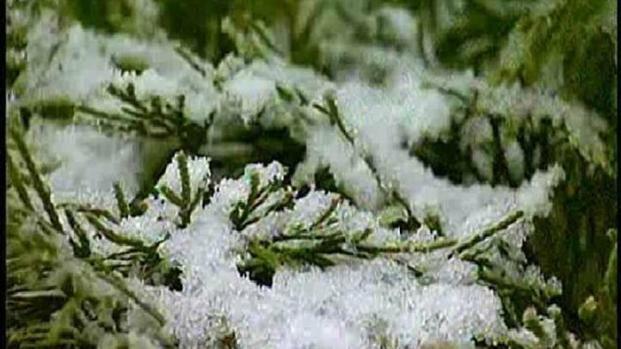 It began snowing in Julian around 11:30 a.m. Monday. Julian School District was forced to send some students home from the Cuyamaca, Harrison Park and Kentwood areas. One bus also sent students home who lived in Mt. Laguna. As of 6:40 a.m. Tuesday, the Julian Union School District told NBCSanDiego classes will go on as scheduled. In the last 24 hours, Carlsad reported more than an inch of rain. With Cardiff-by-the-Sea, Encinitas and Vista reporting close to an inch. Valley Center received .98 while Lake Murray reports .94 of precipitation in the last 24 hours. Driving in Southern California could be tricky. Drivers taking Interstate 15 through the Cajon Pass could see delays or road closures. 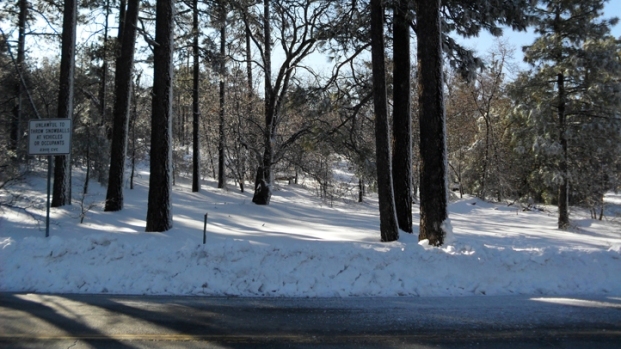 North of San Diego, staffers at Big Bear Mountain are preparing for the possibility of up to a foot of snow. The mountain's website warns visitors that icy roads may affect traveling conditions.